Made from steel, not plastic, or other cheap imported materials….. This is what places OUR PRODUCT ABOVE THE REST!!! And this is the reason why our clients keep coming back. 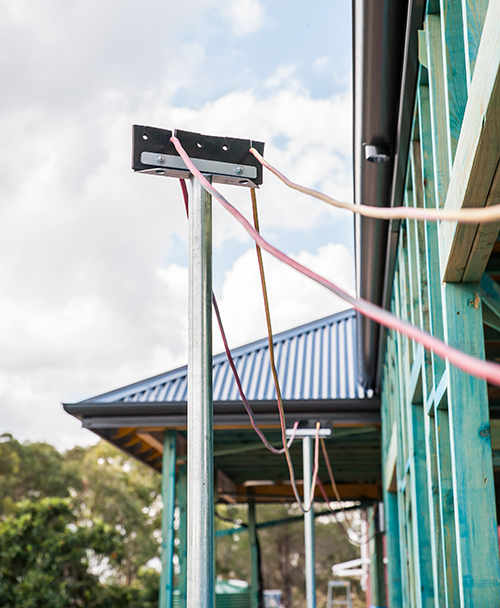 At Electrical Lead stands Pty Ltd, we value the importance of products which promote safety in the workplace. We pride ourselves in providing our customers with a quality 100% true blue Aussie product that they can rely on. 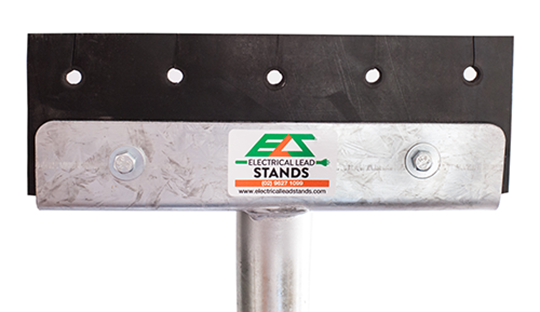 Our Electrical lead stand is constructed from galvanized steel with an insulated rubber top. Our stands are light, weighing only 9kg, making them easily transportable. However, the galvanized steel construction is extremely sturdy and strong enough to withstand building site and mine site conditions. The base is round making it stable in all directions, and flat enabling additional weights to be added if required. The bases can easily detach and are stackable for transport and storage. The non – conductive rubber tops can securely hold up to five 10 Amp or 15 Amp electrical leads at once. Previously we have supplied our lead stands to the various sectors in the market including Construction, Mining, Engineering and Industrial Suppliers. 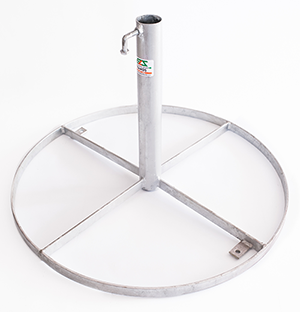 We are well stocked and are able to ship our lead stands all over Australia. As we are the sole manufacturer of this product, we are able to customize the design to suit any particular unique site requirements. Our heavy duty galvanized electrical lead stands are sure to meet your safety requirements.